An EF-3 tornado struck the city of Franklin, Texas, Saturday afternoon. 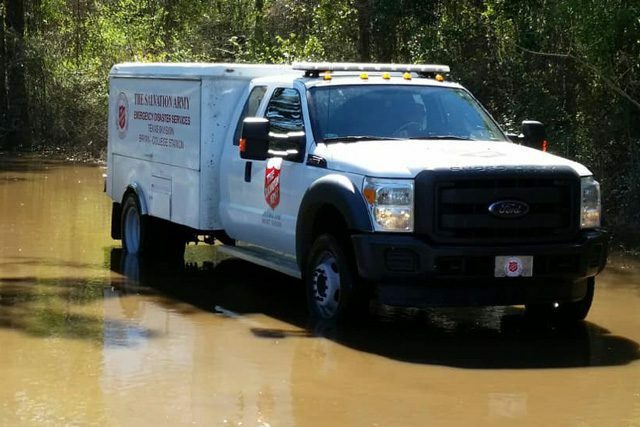 The Salvation Army of Bryan College Station, located about 30 miles away, deployed a mobile kitchen and emergency response team to provide support to first responders and storm survivors. The City of Franklin established an emergency triage center at the United Methodist Church, where The Salvation Army team began feeding. Many homes were damaged, and some destroyed by the powerful storm that affected several other communities in the area. The Salvation Army and Operation Barbecue Relief personnel are working together to coordinate feeding operations. Meanwhile, the mobile kitchen from Williamson County, with the ability to serve up to 1,500 meals per day, was deployed to Alto, another small community affected by the storms.